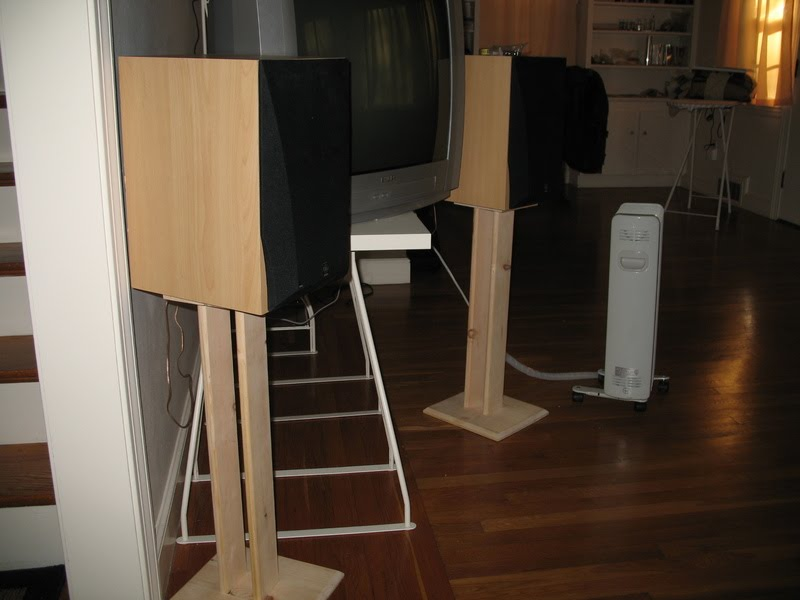 Some very simple speaker stands made out of pine. Some very simplistic speaker stands made with a plunge router, random orbit sander, drill, and hand saw. Nothing really special, and no plans to go into too much detail, but thought I'd post them anyway. 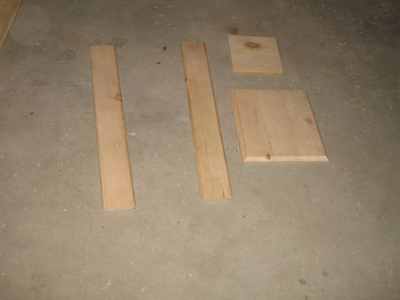 Only materials were a handfull of 3.5"x10' pine boards and a dowel rod. Cut two 3.5"x7" pieces, and glued them together for the top, that holds the speaker. They were then glued together to form a 7"x7" square. Cut two 3.5"x30" pieces for the center supports. Did a roundover with the router on each edge on both sides for aesthetics. Cut three 3.5"x10.5" pieces, and glued together to form a 10.5"x10.5" square. 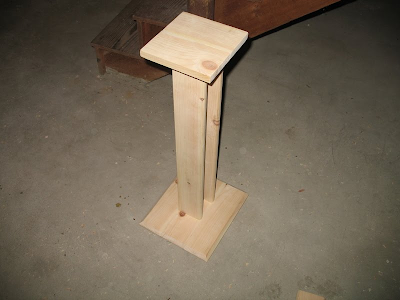 Then chamfered the edges with the router.